Have you ever used Windows 95? It was released on August 24, 1995. It was quite interesting as it merged Microsoft’s formerly separate MS-DOS and Windows products. At that time, it was the revolutionary product. I was a kid when this OS was released and I also used it for months before switching to Windows 98. I am not sure if you would be excited to know that Windows 95 is now available to use in the browser, but there are many who will. Yes, you can now run and experience Windows 95 direct in your browser. If you want, you just need to open a URL in your browser and then turn on your Windows 95 PC in the browser. 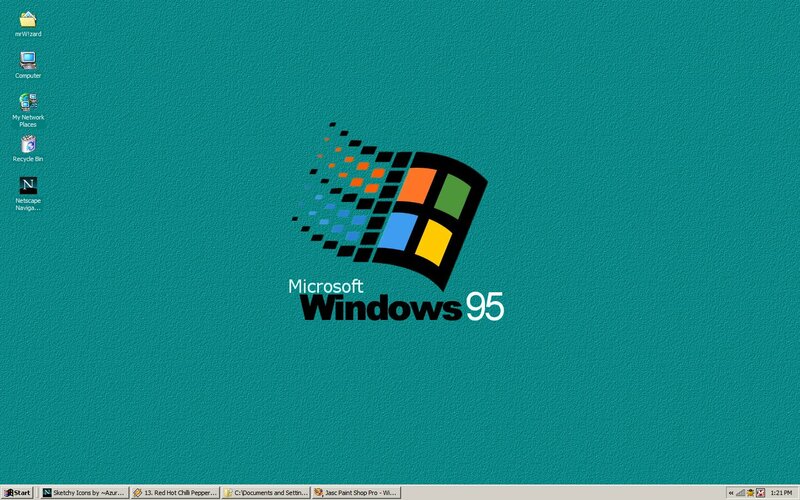 Click on this link to open the Windows 95 in your browser. Then, Scroll down the page to see “Start Windows” button. Soon after clicking on this button, it will start progress. But, it also you to confirm your action. So, click OK in next dialog box. It will start downloading few temporary files. This will not take enough time. Wait for few seconds, before it starts loading Windows. Initially, it starts with a smaller portion of the browser, but you can go full screen to have a proper look and better way to use. For going full screen, you see the option at the top-right portion of the page. You will be able to perform most of the operations Windows 95 is capable of doing. You can try paint brush, Notepad and other programs. You can also play games that were in Windows 95. When you are done with the use, you should shutdown the Windows 95 before closing the browser tab.